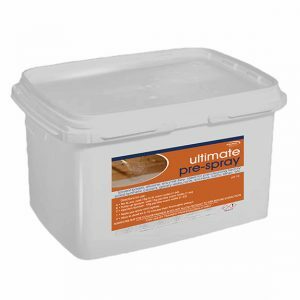 Ultimate Prespray is a new solvent based, alkaline, enzyme-free pre-spray that is ideal for pre-cleaning heavily soiled synthetic carpets, greasy restaurants, kitchens and traffic lanes etc. Comes in 4kg. Always pre-test for colour fastness and do not allow product to dry before extraction.